Posted on February 21, 2019 at 9:47 am. Some myths are intriguing, others are fun, but some can be extremely costly. Unfortunately, most of the myths surrounding plumbing end up costing you money. Everyone has their own story about taking care of drainage systems and toilet bowls which tends to confuse the matter and makes it harder to separate fact from fiction. To help you out, plumbers in Cleveland, TN have compiled a list of the costliest plumbing myths that are commonly believed by homeowners today. This is one of the strangest myths on this list because eggshells or ice cubes aren’t meant to sharpen garbage disposal blades. However, they may be effective when it comes to cleaning the blades. 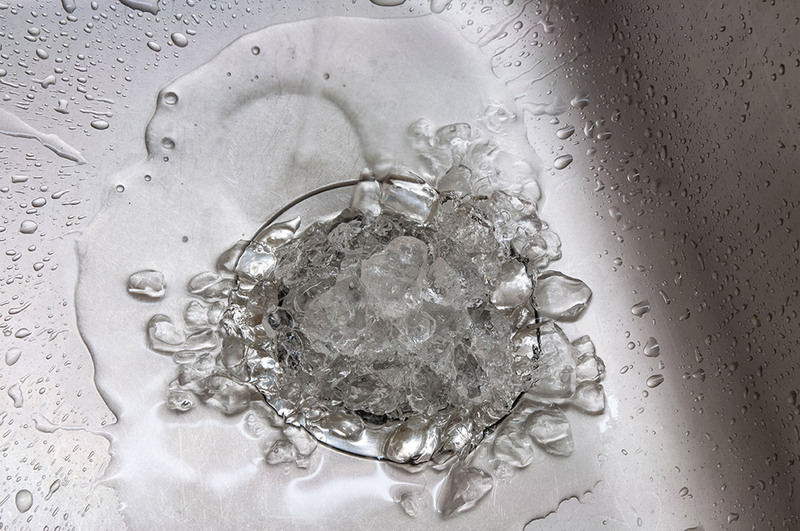 So, if your sink is stinking, all you need to do is throw a couple of ice cubes in and turn on the disposal. You won’t get sharper blades, but you will end up with cleaner blades. You must be familiar with the rumbling and banging noises coming from your water heater late at night. Most people get scared that their water heater may explode when they hear those sounds. However, there isn’t any reason for you to panic. You may get scared by all the strange sounds coming from the water heater, but there’s a reasonable explanation for it. Plumbers in Cleveland, TN say that the strange sounds are caused by heat making its way through layers of sediment at the bottom of your tank. All the commotion is caused by the air bubbles, and not because your water heater is going to explode. However, if your water heater is making a lot of noise, you should consider getting it checked as it indicates a problem with it. This is one of the silliest myths on this list because not everything in your bathroom is meant to be flushed down the toilet. A lot of people tend to flush everything; maxi pads, tampons, makeup removal wipes, and paper towels. You should remember, if you want to keep your plumbing working properly in the bathroom, you shouldn’t flush everything down the toilet. This is one of the most common myths on this list since several people assume that they can handle the plumbing in their homes. They think that unclogging a toilet or fixing a leaky faucet is as straightforward and as simple as cooking a meal in the microwave or sweeping the front porch. If plumbing was easy, there wouldn’t be any need for professional plumbers in Cleveland, TN. The sad part about this is that most people believe this myth and end up turning small problems into bigger ones by trying to fix the problem themselves. Plumbing systems are complex. Most people don’t realize that by trying to fix the problem instead of going to a professional they are losing money instead of saving it. This is another myth you shouldn’t believe because it’s unwise to leave bleach tablets in your toilet bowl for an extended time. That’s because bleach will start to degrade the working parts of the toilet, and you’ll be stuck with a plumbing nightmare. This is the reason why plumbers in Cleveland, TN recommend not leaving bleach containing tablets in the toilet. You shouldn’t throw peels in your garbage disposal unless you have a super heavy-duty garbage disposal, which can cut anything up. The lemon will make your disposal smell nice, but it will also clog the drain, which is a problem you don’t want to deal with. The reason why you shouldn’t throw lemon peels in the disposal is that most garbage disposals can’t cut lemon peels easily. The citric acid will also corrode the metal, causing you more harm than good. Waste fats and grease aren’t good for your drains as they end up clogging them by covering the drains with a layer of fat. It may seem easy for you to dump a pot of greasy residue down your skin, or flushed down the toilet, but it will only end up doing one thing, blocking your drains. Unfortunately, most people don’t know that they shouldn’t ever dump grease down the sink, and end up calling plumbers in Cleveland, TN to help unclog their drains. The fact remains that mixing grease with boiling water does absolutely nothing to solve the problem. Boiling water doesn’t reduce clogging or break down fat which is why you shouldn’t think about dumping grease in your sink or toilet. Most people don’t care if they have a leaky faucet in their home since they think it isn’t that big of a problem. However, if you don’t deal with a leaky faucet, it may cost you by increasing your water bills significantly. So, the next time you’re wondering why your water bill is so high, you should check all your bathtubs, toilets, and sinks for water leaks. When your faucets leak, it causes water wastage. This shows up in your water bill. Plumbers in Cleveland, TN advise that leaky faucets should be taken seriously since if they’re not fixed immediately, you might as well just throw your money down the drain. This is another myth you shouldn’t believe because there are plenty of good quality local plumbing services serving in the Cleveland, TN area. If you’re looking for professional and experienced local plumbers in Cleveland, TN that can handle all types of plumbing problems, you have come to the right place. At Metro Plumbing Heating and Air, we provide general plumbing services, and professional water heater and toilet repair services at affordable rates. We have been proudly serving the Chattanooga TN, Cleveland, TN and N. Georgia area since 1989 and have nearly 2 decades of experience. Our plumbers can handle any type of plumbing problems you have. All you need to do is call us at (423) 616-1025 or visit our website today.